Home / Writers / Dr. Corrie Goldberg, Ph.D.
Email Dr. Corrie Goldberg, Ph.D.
Dr. Corrie Goldberg completed Ph.D. programs in both Clinical Psychology and in School Psychology from Northern Illinois University. Her education and practice are grounded in Cognitive Behavioral Therapy (CBT), and are enhanced by advanced training and specialized interests in evidence-based therapies such as Eye Movement Desensitization and Reprocessing (EMDR), Exposure and Response Prevention (ERP), Dialectical Behavioral Therapy (DBT), and the Collaborative and Proactive Solutions (CPS) model. Dr. Goldberg has an extensive background working with individuals across the lifespan in clinical, hospital, school, residential, and community mental health settings. 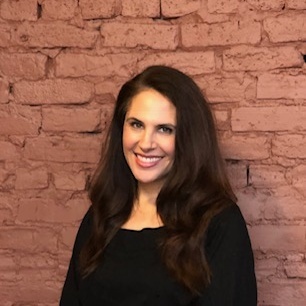 Placing an emphasis on empathy, humor, adaptability, and the importance of the client-therapist connection, Dr. Goldberg draws from her diverse educational, professional, parenting, and personal life experiences to attune and relate to her clients. She enjoys working with children, adolescents, adults, and families to address and reduce the negative impact of navigating challenging life transitions, trauma, OCD, generalized anxiety, social phobia, school issues/avoidance, ADHD, parenting challenges, and other anxiety and mood-related disorders. Dr. Goldberg is passionate about education and lifelong learning. She actively seeks to continually expand her own knowledge and skills to better meet the needs of her clients; and to provide learning, resources, and meaningful support to the individuals with whom she works.